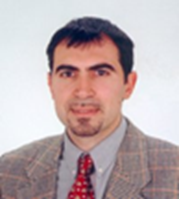 Nicola Blefari-Melazzi is a Full Professor of Telecommunications at the University of Rome “Tor Vergata”, Italy. He is the Director of the Department of Electronic Engineering. Dr. Blefari-Melazzi has participated in over 20 international projects and is or has been the coordinator of three EU-funded projects. He has been an evaluator for many research proposals (both in the 6th and in the 7th EU FPs) and has been a reviewer for numerous EU and ITEA sponsored projects. He is author/co-author of about 160 papers, in international journals and conference proceedings. His research interests lie mainly in the performance evaluation, design and control of telecommunications networks. A. Baiocchi, N. Blefari-Melazzi, M. Listanti, A. Roveri, R. Winkler: “Loss performance analysis of an ATM multiplexer loaded with high speed on-off sources”, IEEE Journal on Selected Areas in Communications, Vol. 9, N. 3, April 1991, pp. 388-393. N. Blefari-Melazzi, D. Di Sorte, M. Femminella, G. Reali: “Autonomic Control and Personalization of a Wireless Access Network”, Computer Networks, Elsevier, Volume 51, Issue 10, 11 July 2007, pp. 2645-2676. G. Bianchi, N. Blefari Melazzi, L. Bracciale, F. Lo Piccolo, S. Salsano: “Streamline: an Optimal Distribution Algorithm for Peer-to-Peer Real-time Streaming”, IEEE Transactions on Parallel and Distributed Systems., ISSN: 1045-9219, doi.ieeecomputersociety.org/10.1109/TPDS.2009.114, June 2010. Area of Expertise: His current research interests include Pervasive Computing, Content Centric Networks, Peer to Peer architectures, B3G Systems, Wireless LANs. Area of Expertise: Network design, routing protocols, transport protocols, analytical modeling, simulation and experimental performance evaluation. Area of Expertise: Neural networks, P2P and software modelling, semantic ontologies and models for privacy protection. Natural language parsers and text data mining. L. Abeni, A. Bakay, M. Biazzini, R. Birke, E. Leonardi, R. Lo Cigno, C. Kiraly, M. Mellia, S. Niccolini, J. Seedorf, T. Szemethy, G. Tropea; Network Friendly P2P-TV: The Napa-Wine Approach; IEEE P2P’10 Conference, August 25 – 27, 2010, Delft, Netherlands. Koutsoloukas, Nikolas L. Dellas, Fabio Testa, Markus Blanchebarbe; A Framework for Adapting Services’ Design and Execution to Privacy Regulations; in proceedings of Mobilesummit 2007 Conference, July 1-5, 2007, Budapest, Hungary. Alfredo Salvador, Jorge E. López de Vergara, Giuseppe Tropea, Nicola Blefari Melazzi, Ángel Ferreiro; Ontology design and implementation for IP networks monitoring; in proceedings of The First International Workshop on Web & Semantic Technology; September 08-11, 2009, Wrexham, North East Wales, UK. 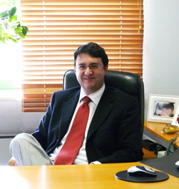 Nicola Blefari-Melazzi is a Full Professor of Telecommunications at the University of Rome “Tor Vergata”, Italy. He is the Director of the Department of Electronic Engineering. Dr. Blefari-Melazzi has participated in over 20 international projects and is or has been the coordinator of three EU-funded projects. He has been an evaluator for many research proposals (both in the 6th and in the 7th EU FPs) and has been a reviewer for numerous EU and ITEA sponsored projects. He is author/co-author of about 160 papers, in international journals and conference proceedings. His research interests lie mainly in the performance evaluation, design and control of telecommunications networks. He is also conducting research on multimedia, mobile and personal communications, quality of service in the Internet, reconfigurable systems and networks, service personalization, and autonomic computing.